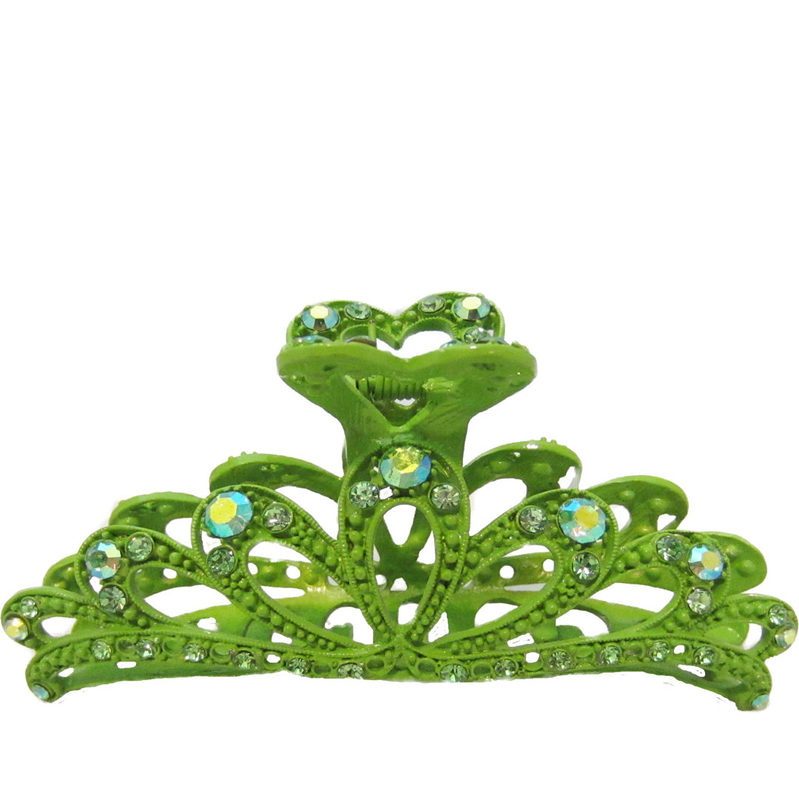 This Anthony David green hair claw has a green metal body and is accented with crystals. 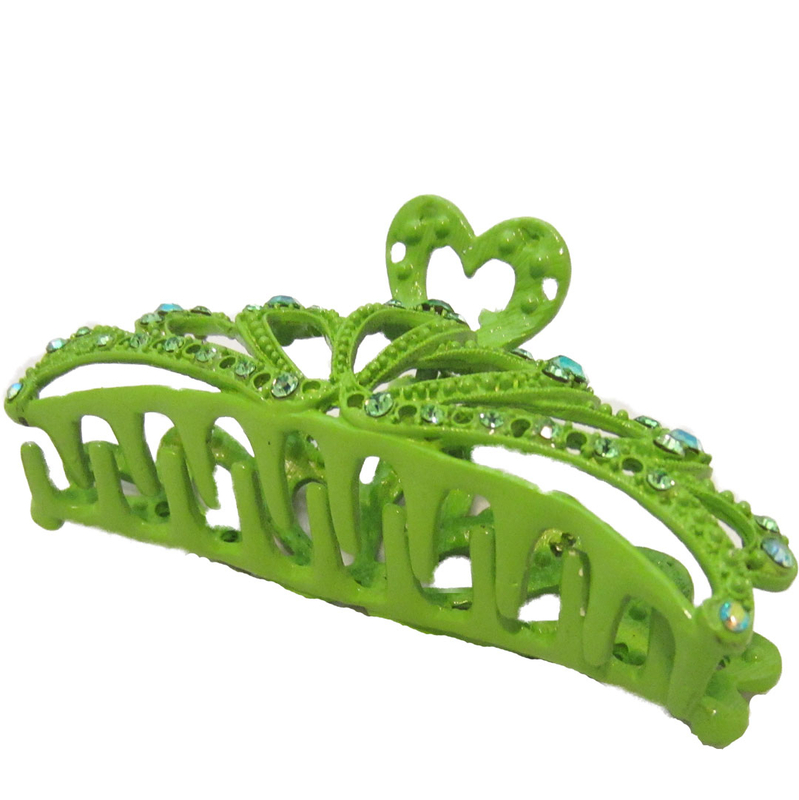 It is a large hair clip that is colorful and trendy. We carry hair claws in multiple colors.